Cut packet to release hot steam before opening entirely. Transfer chicken to a medium bowl. Shred using two forks. Add shredded chicken to the plate/bowl. Top with remaining ingredients. 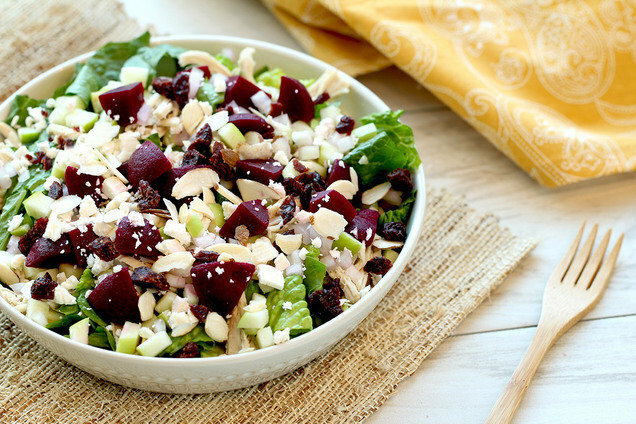 Hungry for More Healthy Salads Packed with Protein? Happy National Spaghetti Day, January 4th! Trade standard noodles for spiralized zucchini with our Chicken Scampi Z'paghetti. Save your pals from chomping the wrong salad... Click "Send to a Friend" now!